Following one week of protesting the choice of Take-Two to force OpenIV developers to close the project, the events seem to have taken a positive turn. The latest news we received about the OpenIV case is that Rockstar was negotiating with Take-Two. The developer of GTA 5 published an official note where it elucidated, without explicitly giving legal guarantees, which mods are permitted. Rockstar Games believes in reasonable fan creativity, and, in particular, wants creators to showcase their passion for our games. After discussions with Take-Two, Take-Two has agreed that it generally will not take legal action against third-party projects involving Rockstar’s PC games that are single-player, non-commercial, and respect the intellectual property (IP) rights of third parties. This does not apply to (i) multiplayer or online services; (ii) tools, files, libraries, or functions that could be used to impact multiplayer or online services, or (iii) use or importation of other IP (including other Rockstar IP) in the project. This is not a license, and it does not constitute endorsement, approval, or authorization of any third-party project. Take-Two reserves the right to object to any third-party project, or to revise, revoke and/or withdraw this statement at any time in their own discretion. This statement does not constitute a waiver of any rights that Take-Two may have with respect to third-party projects. What’s more, it was found out that Rockstar was in contact with the group in charge of OpenIV, perhaps so that the tool could continue to exist. With this new update, it is conceivable that at last, the negotiations between the OpenIV team and Rockstar have been successful. The new form of OpenIV no longer shows the previous message, where the complaint imposed by Take-Two was released and the need to uninstall the tool. Moreover, the team behind the mod posted the following tweet. 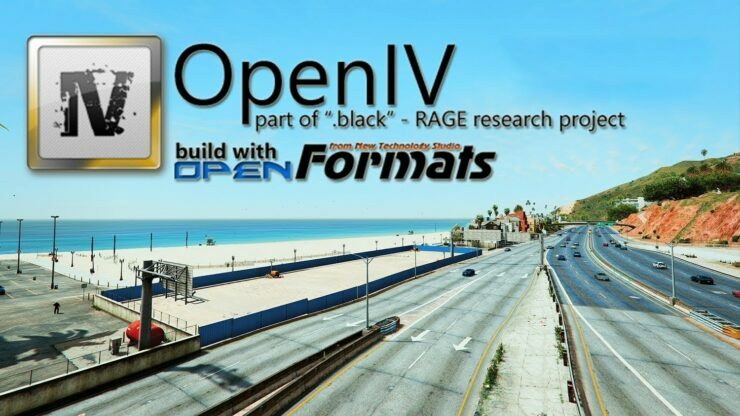 OpenIV is an essential tool to install many of the mods that currently exist for GTA 5, as it allows access to the files of the game and modifies them to install or replace contents such as models of weapons, vehicles, characters, and objects. Rockstar and Take-Two had previously alleged that OpenIV threatened the multiplayer experience in GTA Online, something that both developers and community denied sharply since the mod is not only thought exclusively for the single-player mode but stops functioning when leaving it. That is why, in this situation, one of the protests made by the community was to mass vote in a negative way to GTA 5 on Steam. In fact, only 14% of the 55.5K user reviews submitted in the last month were positive. Will those angry reviews be retracted now? Let’s wait and see.